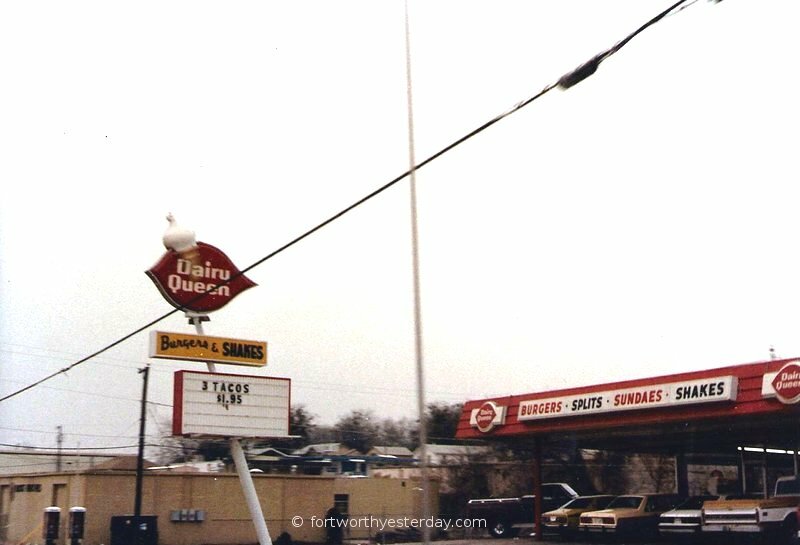 Dairy Queen at 5100 Davis Blvd n North Richland Hills. They had closed temporarily, but never reopened. 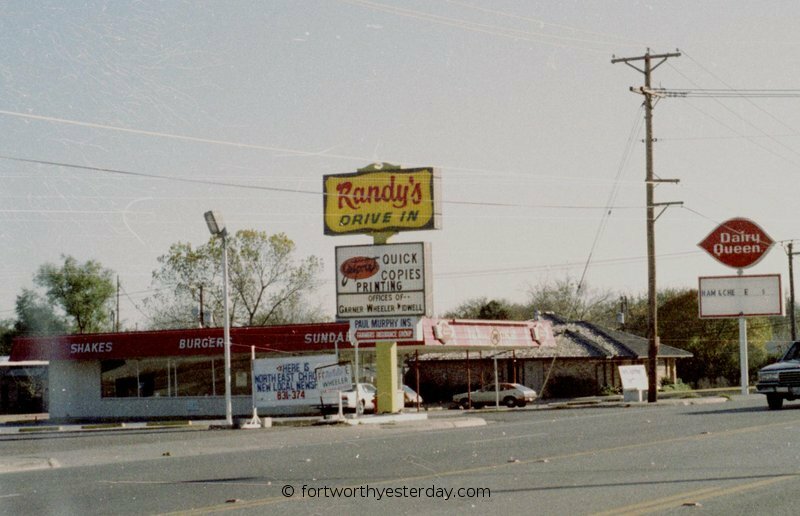 It became a Chicken Express. Photo taken by John Cirillo, January 2000. 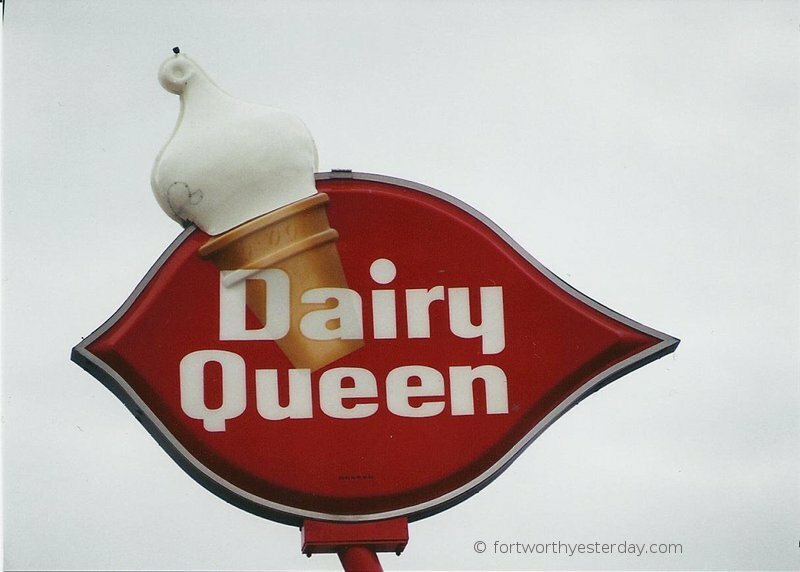 A closeup of the classic DQ cone sign at the 5100 Davis Blvd. location. Taken Jan. 2000 by John Cirillo. Shot of the whole sign at the 5100 Davis Blvd. location. 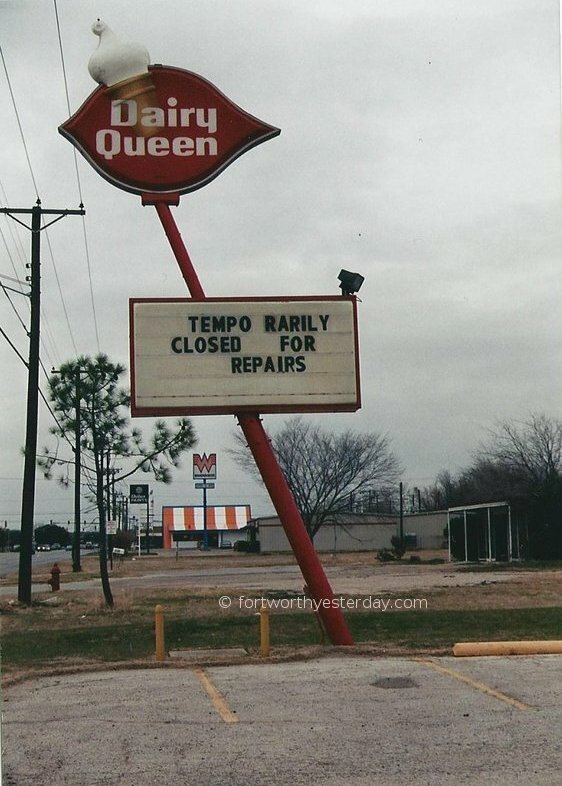 Dairy Queen at 3996 Denton Highway (377) in Haltom City. Photo taken in November, 1983 by John Cirillo. 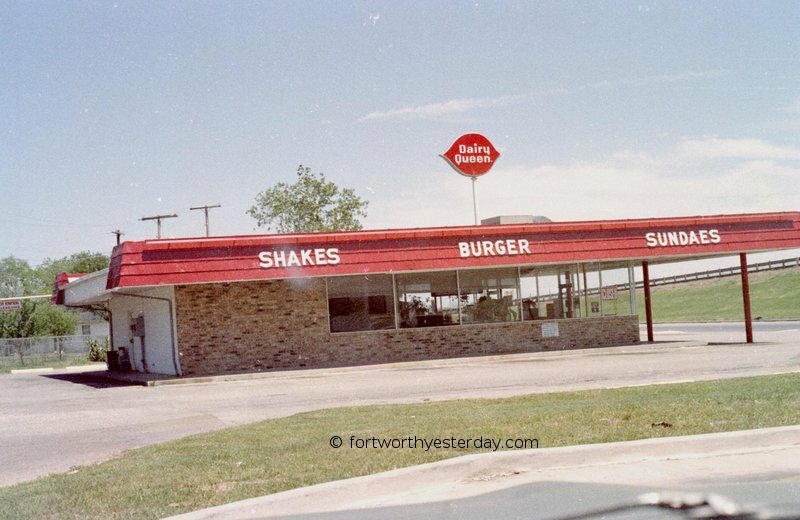 Dairy Queen at 5105 Airport Freeway (121) in Haltom City. This was on the north service road just east of Haltom Road. Photo taken in April, 1984 by John Cirillo. 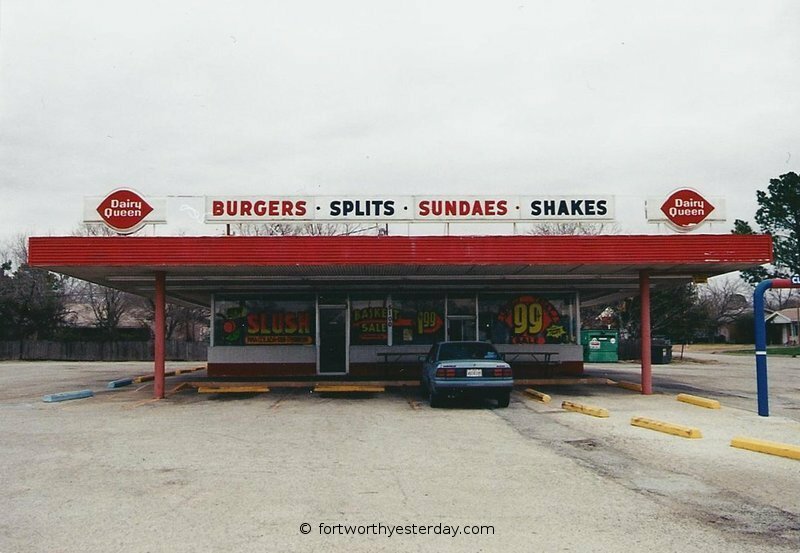 Dairy Queen at 2050 Montgomery in Fort Worth. Photo taken April, 1984 by John Cirillo.